Hello creative friends! I’m so excited to invite you to join me for an incredible adventure to the west coast of Ireland. To the Emerald Isle, where magic, mystery and myth enchant the very soil! 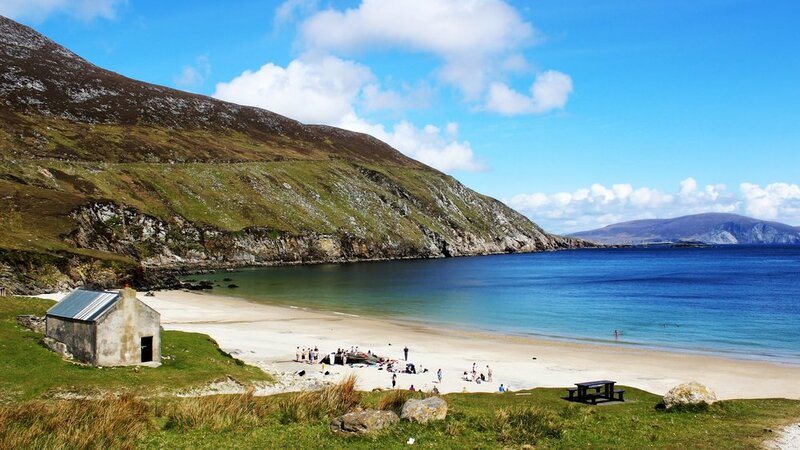 This 7 night/8 day all inclusive creative journey will be hosted by The Essence of Mulranny Studio, run and operated by artists, Lora Murphy & Cheryl Cobern Browne and located in the quaint coastal village of Mulranny! A place full of rugged beauty, fascinating history and endless inspiration! Come create with me in Ireland! 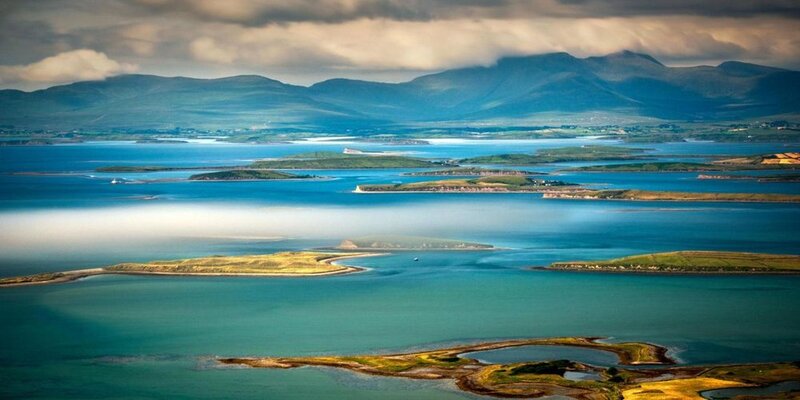 We invite you to imagine standing on the panoramic hillside of our studio, taking in the spectacular views of Clew bay and Croagh Patrick (Ireland’s holy mountain). Open your heart to the profoundly moving drama of constantly shifting Atlantic skies, reflecting a ever changing light show on the bay. The wildness and drama of this spectacular area belie the peace and connection you will feel to Ireland and to this very special place. Lay on a blanket in the heather and watch the stars emerge on a clear night or walk along the rocky shores, to gather shells, driftwood and memories. Find yourself letting go of the stress of everyday life, feel the mystery and beauty of this land, awakening your senses. This unspoiled place provide a safe place of inspiration and experimentation to stretch your skills in whatever medium you are working on. You are warmly invited to stay awhile. Dream about the history of past times, evident in every field with old stone walls, every stoic castle and each abandoned cottage. Meet the local people, warm, friendly and always happy to chat and share a story or a cup of tea. Shop in our local village of Westport and pop into a local pub or two! Finding something to inspire you is not hard with the richness of the various eco systems surrounding Mulranny - from marine to mountain landscapes, with grasslands, bog and heather hills - this enchanted land casts a spell on any artist. Visit historic sites, Learn about the infamous Irish Pirate Queen and visit one of her many castles. Hear the story of our Stone Age ancestors and experience the myths and magic of Irelands spiritual roots while standing in one of the ancient stone circles. This is indeed a land of legends! Bring your camera , your sketchbooks and prepare to lose your heart in it all, your mind full of inspiration. Being in Mulranny is all about being on the edge, on the edge of Europe, on the edge of land and the great ocean seas and the edge of yourself. Edges lead to new boundaries when invited to expand. Your 8 days will be a beautiful blend of studio time, delightful excursions, cultural experiences and of course, plenty of free time to rest and explore! You can arrive, unpack your suitcase (and your art supplies) and truly relax, since the entire group will make it’s home at the gorgeous Essence of Mulanny compound, run and operated by artist, Lora Murphy. Ivy will guide you through many projects ranging from portrait making, expressive collage, art journaling, sketching on location and of course, mixed media encaustic! We will be visiting enchanting villages, strolling along the beautiful coastline, touring ancient castles and ruins, picnicking in the heather fields and creating all along the way! The creative inspiration will be all around you! This beautiful learning center is complete with well equipped mixed media/encaustic art studio, private bedrooms, a cozy gathering room with fireplace and group kitchen for those midnight snacks! All meals will be included and prepared by an on-site private chef and will focus on delicious, healthy cuisine.